Jose Raul Boyzo-Hernandez was shot and killed on Sept. 20, 2017 in Hillsboro. A Portland man charged with a year-old homicide was in a Washington County court Tuesday to face charges he shot and killed a Hillsboro construction worker. Langston Harris, 19, is charged with murder with a firearm. Prosecutors say he shot and killed 22-year-old Jose Raul Boyzo-Hernandez in 2017. Little information has been released about Boyzo-Hernandez' death. Court records into the case have been sealed, and Hillsboro Police have released few details about what happened. Police have not released the location of the shooting, Harris' relationship with Boyzo-Hernandez or any alleged motive for the killing. "We are not saying a lot about that case, because we are still working it," said Hillsboro Police spokesman Lt. Henry Reimann. "We don't want to say much at this point. Officers still have a couple more 'T's' to cross and a few more 'I's' to dot." Reimann said police were called to a reported suicide in the 900 block of Southeast 13th Avenue at 3:30 a.m., Sept. 20, 2017. Reimann said the man's death was suspicious, and as investigators continued to look into his death, later realized the case was a homicide. Harris was arrested Sunday, June 10, according to arrest records. He was arraigned Tuesday, June 13, in Washington County Circuit Court. According to KATU, which first reported Harris' arrest, investigators are looking for a second suspect in the case. Officers did not suspect the death was a homicide initially, until new evidence came to light, the station reported. According to court records, Harris has been arrested before. 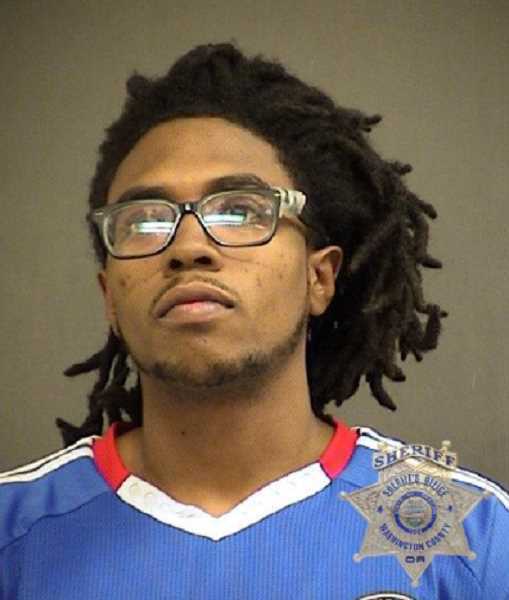 He was convicted of drug charges and unlawful possession of a firearm in Multnomah County in May 2017. He was sentenced to three years of probation in that case. Harris' next court appearance is scheduled for June 19. Editor's Note: This story has been updated with more information about Boyzo-Hernandez' death.